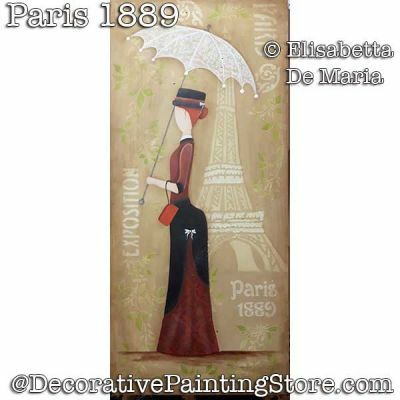 Victorian lady carrying parasol painted on board or canvas approx. 8"x18" with stenciled background. Pattern includes English and Italian instructions, photos, grayscale image for tracing.